TWO EXHIBITIONS. TWO PLACES. ONE WEEK. An ancient culture, Georgia is a land of inspiration, diversity, and artistic mastery. The art of Mamuka Dideba, dubbed "Georgia's Bruegel", is a unique expression of the wonder, the subtle humour, and the warm and often surreal philosophical outlook that is quintessentially Georgian. A master of figurative and abstract, Dideba paints in exquisite Renaissance imprimatura technique that lights up the canvas from within. Inspired by the Old Masters and Georgia's rich history, Dideba explores beauty through vivid characters whose unconventional forms and faces convey their essence. His abstracted paintings lure deep inside their magical worlds through an ingenious interplay of light and colour. This is Dideba’s first solo show in London and an exciting opportunity to be elevated by extraordinary art. China’s frontier Yunnan Province is a place of spectacular landscapes and predominantly Buddhist philosophy. It is the home of Chen Li. Chen Li is a master woodblock printmaker and an extraordinary painter who with a unique vision and boundless originality conveys the life-affirming energy of Yunnan. In his woodblock prints, Chen Li uses Yunnan’s rare “waste-block” or “suicide” technique that leaves no room for error. All colours are printed from a single woodblock, each step carving over the previous one until the block is destroyed. Only a single edition is possible. 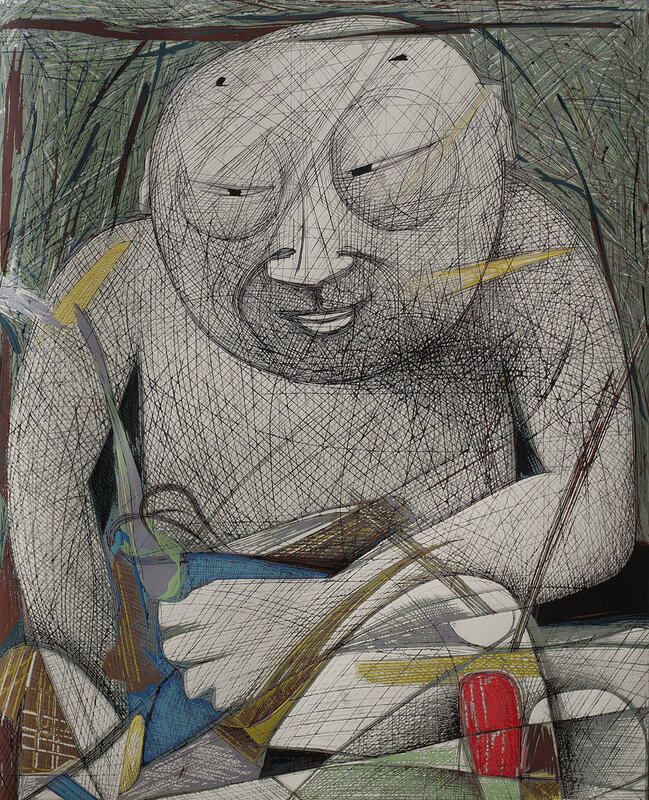 Our fourth solo exhibition of Chen Li’s works coincides with the display of his “Human Buddha” woodblock print at The British Museum, just 8 minutes walk from the gallery. This work was acquired by the Museum after our first solo exhibition of his woodblocks in 2018.